"It's a family thing. My father, my grandfather were miners, so I am," says Arkadiusz Wojcik at a coal mine in the southern Polish town of Knurow. Defying the danger to life and limb of descending into the mine on a daily basis, Poland's coal miners still pass down the job from father to son. The occupation may be on its way out in much of the West, but in Poland's Silesian coal country it is thriving thanks to high wages and support from a government that refuses to decarbonise the economy. In Brussels, Berlin and Paris, coal is the enemy. It produces the carbon dioxide blamed for the planet's rising temperatures. In Poland however, coal is a way of life, with no signs of changing. "Here in Silesia, it's a tradition," says Wojcik, 36, after working a night shift 650 metres (2,100 feet) underground. The Knurow mine is operational day and night, with the schedule divided into four shifts. But one thing is constant: the risk. "Of course we get scared. Accidents happen, it's part of the job," Radoslaw Ruminski says, after exiting a mine lift. "But we don't think about it every day when we go underground," the 37-year-old tells AFP. So far this year, 21 miners have died on the job in Poland. Last year, there were 15 deaths, while in 2014 -- a particularly grim year -- 30 miners lost their lives. To offset the danger, there is money. "Above all, it's the salary that motivated me because it is higher than in other sectors," says miner Kamil Ganko. The 33-year-old machine operator refused to reveal how much he makes, but coal miners can earn up to 1,600 euros ($1,800) in take-home pay per month. That is about double the average Polish wage of 813 euros net. Miners are also entitled to various perks left over from the communist era, including two extra months of salary each year: one in December on the feast day of Saint Barbara, who is the patron saint of miners, and another in February. Each miner also gets to take home eight tonnes of coal every year -- a considerable bonus in a region where many households depend on the fossil fuel for heat. A final benefit is the right to an early retirement after 25 years of toiling away underground. But for some, even that is too late. "My husband died just eight months before he was supposed to retire," says Agata Kowalczyk, who runs the Association of Widows and Orphans of Miners. "The mine manager and a psychologist paid me a visit to deliver the bad news," she tells AFP. Despite her husband's death, their sons have not turned their backs on the work. "Two of my four sons continue to work at the mine. The eldest works down below. He's the foreman and likes the night shift", when the pay is higher, she says. "There are no other jobs here. No other big employers. What would the thousands of miners do? For now there's no alternative in Silesia," she adds. Knurow is one of four mines belonging to the state-owned JSW company, which is the EU's largest producer of high-quality coking coal -- a resource destined for the steel industry. Listed on the stock exchange, JSW has around 27,000 employees, making it one of the biggest employers in Poland. The company currently has its eye on two more ore deposits to increase the production of coal, most of which is exported to other European markets. JSW is also one of the main sponsors of the UN's COP 24 global climate summit, which opens this weekend in the Polish coal city of Katowice. Though many mines have been shuttered over the years and continue to close, "the sector could use at least 15,000 more workers," says Kazimierz Grajcarek, who was once responsible for miners at the Solidarity trade union. "It's undergoing a revival," he tells AFP, saying that the sector is attracting many workers from Ukraine as well as a handful from the Czech Republic, Hungary, Slovakia and even Spain. "The EU wants Poland to close its mines. But what then? In Poland we have no wind or sun," he says, refuting the progress, admittedly small but real, in wind and solar power. "So what will all these people do? Where will they work? Each miner generates four jobs in the service sector." 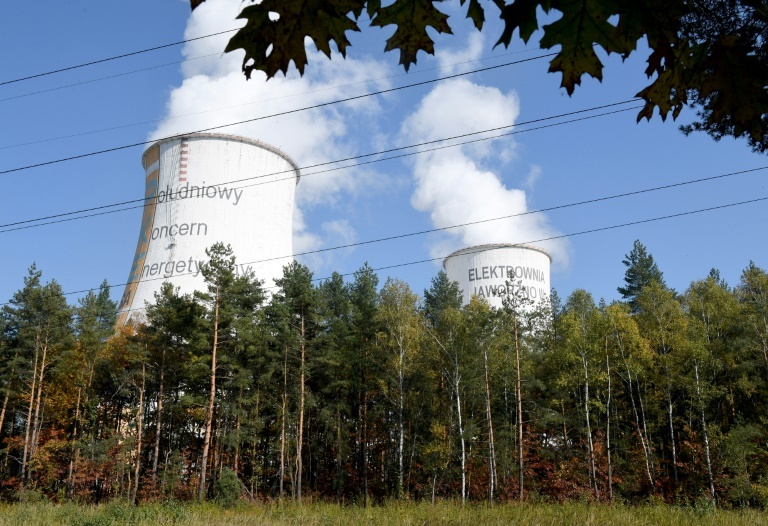 Poland is now building a big, new coal-fired power station and consumes more than it produces. The difference is made up by imports, including from Russia, which provided Poland with nine million tonnes of coal last year. The arrangement makes for a delicate situation for a government that wishes at the same time to break its dependence on Russian gas. December 4 marks Saint Barbara's Day, but the festivities begin two weeks ahead. The miners celebrate with great fanfare, donning costumes, feathered caps and medals. Deputy Energy Minister Grzegorz Tobiszowski even wore the outfit at a mining event earlier this month. No party or government in Poland can ignore miners, who as a group carry considerable political clout. "Mining is more than a job," says Dariusz Radon, a 48-year-old miner and mine rescuer. "The community is close-knit to the point that each miner is prepared to die for his colleague."